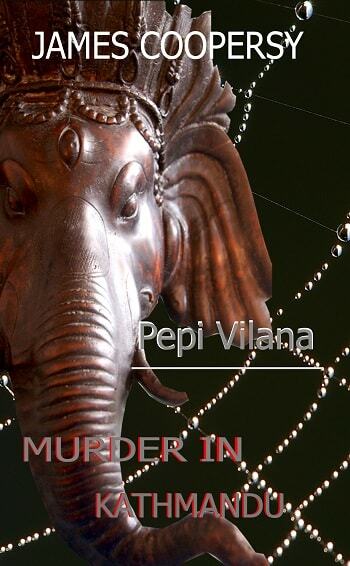 Today we are interviewing Pepi Vilana about her crime novel, "Murder in Kathmandu." The book you have in your hands is the first in a series of stories that have one thing common: mystery, intrigue and the succession of events that the reader must fully to find the assassin. 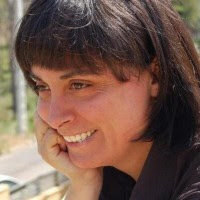 I was born in a small village near Barcelona, called Palau de Plegamans, in 1975. After having won a literary contest in 1989,1990 and 1991, I started to enjoy writing. I grew up with the novels of Sherlock Holmes and I hope, someday, a child can dream with James Coopersy stories. Investigation of the murder, an impossible love, ... from the start of the novel we become involved in a crime, adding a great dose of suspense to our reading of the text. The first case of Inspector James Coopersy. This book is for anyone who loves crime novel. What inspired you to write a thriller/detective series? What inspires me is having an opportunity to write, which is what really enthuses me. One thing that is unique about the novel is that it features two cases that are investigated in parallel. What made you decide to take this approach to writing the story? This is a different approach that focuses on surprising to the reader. Tell us a bit about the protagonist, James Coopersy. He is a police inspector in New York. James is a tall, curly hair and intelligent. He is an attractive man of 33 with sad eyes. He hasn't forgotten his past, which shapes his present or future. Without a doubt, what most influenced me is sir. Arthur Conan Doyle. I initially had the idea to tell a story, a thriller, but afterward I thought: “What can I do differently?” OK. I'll Take two stories, a part of the book takes place on Nepal and the other part occurs on New York. In my next few novels, there will always be a case will happen in a country from which we can learn. I feel good, I feel that more and more people are more likely to read than before e-books existed. You never know where your destiny will take you so, I shall continue writing and I continue to work for those who want to enjoy an entertaining read. No, I like clear and simple writing. This book is not only fun. This book is Nepal, a short but very interesting trip to this country. Unfortunately, all the monuments and places that appear in the book have disappeared by the recent earthquakes. I hope someday my readers may visit Nepal which I knew.